"James, Thank you for sending me a team that worked very well together, cleaned up in an excellent manner and produced an outstanding new roof. I cannot thank you enough for the excellent job your company performed as a result of the recent hail damage to our home. Your personal attention to every detail is often quoted by service organizations. I am highly pleased with the professional manner in which your team did to my roof. 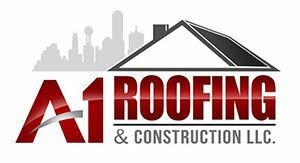 You have definitely gained a new customer who will refer all of her friends to A1 Roofing & Construction, LLC." "Thanks again for your quality workmanship. I truly appreciated the courtesy of your workers and their speediness."